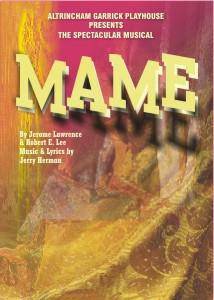 Agnes Gooch brings young Patrick to stay with his only living relative, his Auntie Mame. Mame is a high living friend to everyone and a party is always in progress. Amongst her many and varied friends is the irresistable Vera Charles, the first lady of the American musical theatre. Musically the show is packed with Jerry Herman songs that are in perfect accord with the whole positive attitude of the story and include what is probably the most memorable title song ever written.